Make fresh or cooked white brats for the grill. 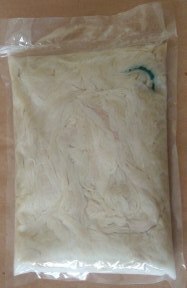 Traditionally stuffed into 32mm - 35mm hog casings but can also be stuffed into sheep casings for a smaller diameter sausage, or pack in bulk bags for "Brat Burgers". Fry, broil, or grill. 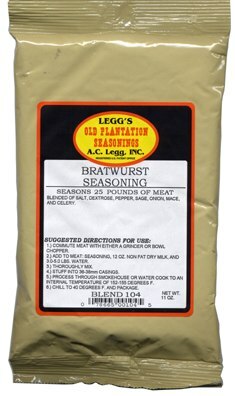 One bag of seasoning makes 25 pounds of bratwurst. 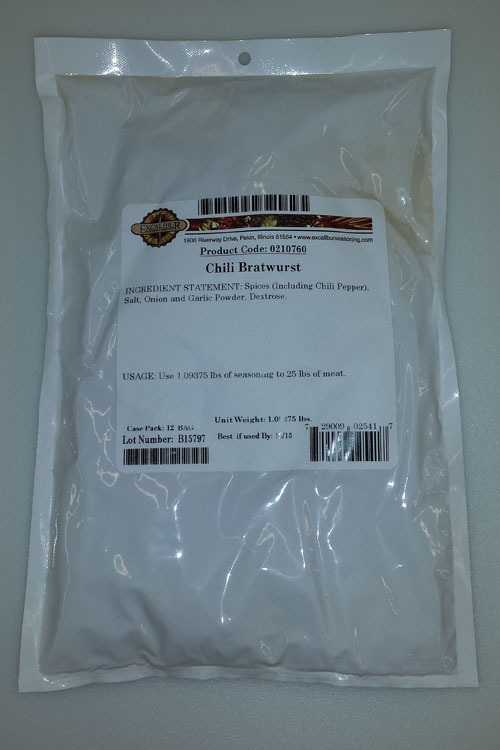 Excalibur Bratwurst Seasoning #1503 is blended of Salt, white pepper, coriander, thyme, nutmeg, savory, and extractives of clove. All natural spices and spice extracts. Contains no MSG, wheat or dairy products.